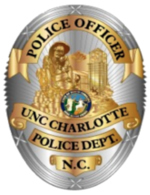 The University of North Carolina at Charlotte Police & Public Safety welcomes you! UNC Charlotte Police & Public Safety is a state authorized Police Department focused on crime prevention, dedicated to protecting the welfare and safety of the University and committed to building strong campus and community partnerships that support and advance the research and educational goals of UNC Charlotte. The ongoing collaboration of our dedicated law enforcement officers and members of the campus community allows us to better respond to the needs of those we serve, and we encourage any input that will assist us in building a culture of safety. To maximize your academic experience, we encourage you to make choices that will ensure your personal protection. Please feel free to visit our website for more valuable safety tips.